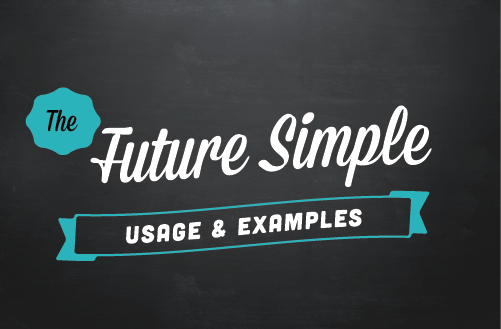 Are you wondering when to use the future simple tense? When do we use "will," "shall," and "be going to" to express the future? In addition to the explanations given here, there are lots of examples to make things clear. [Note: Click here to learn how to form the future simple with "will" / "shall". Before we look at all of the uses, please note that "will" and "be going to" are more frequently used in the future simple than "shall." We use "will" to express a decision that we make spontaneously in the present moment. Is it midnight already? I think I'll go to bed now. Oh, and I'll also take a kilo of oranges please. (After looking out the window) It's nice outside. I won't drive today. I'll walk or ride my bike. We can use "will" to describe future facts. Tomorrow, the sun will rise at 8:30 and will set at 5 PM. The president will serve a four-year term. Who will host the next World Cup? Next year, we will offer evening classes. The police will not release additional information. (2) to make assumptions about the future based on something that's happening now. We often use "think" to express an opinion. It will be a boring meeting as usual. Do you think John will come to work today? I think it’s going to be hot today. I'm sure her class will finish late again. It’s going to be an interesting discussion. I don’t think he’s going to call me again. Do you think the plane will arrive on time? We use "be going to + infinitive" to describe an arrangement that we plan to do in the future. This can be tricky for learners. We do not use "will" for things that we've already arranged or decided to do. As noted above, we use "will" for things that we decide to do right at that very moment. (Please note that we can either use "be going to" or the present continuous to express a future plan). The present continuous and "be going to + infinitive" are formed in a similar way). We're going to see a movie tomorrow tonight. After the movie, we're going to have dinner at the pizzeria. Is Michael going to come? My boyfriend and his best friend are going to join us for dinner. We're all going to meet in front of the cinema at 7 PM. As noted above, we use "be going to" to express future actions that are planned in advance and "will" for spontaneous decisions. However, if the main verb is "be," we can use "will" to express a future action - even if it is for a firm plan or decision made in advance. We'll be in Washington tomorrow for a conference. Yes, I'll be at home this evening. I won't be at the office next week. The director won't be happy about this. We can use "will" to show that we are willing or voluntarily agreeing (or not willing or agreeing) to do something in the future. This includes making promises that we will do something and making requests or asking people if they are willing to do something. I will get the children after school. She'll bring the materials to your office. He won't do it for free. Will they deliver the furniture to my home? My parents won't buy me a new phone. I promise I will come home by midnight. Will your boss approve your vacation request? Will you make dinner tonight? We can use "will" in the future simple tense to invite people to future events. Yes! Will you come with me to tell my parents the good news? My sister is getting married. Will you go to the wedding with me? I'm engaged! Will you come to my bachelorette party? Will you attend my daughter's wedding? "Shall" is used with the "I" and "we" forms to make offers and suggestions using questions. (Note: We don't use "shall" for "you / he / she / it / they" when we make offers and suggestions). Shall I get something for dinner? Shall I help you carry those heavy boxes? Shall we pick you up at the airport? We've worked a long time. Shall we take a 15 minute break? Shall I open the window? It's hot in here. Shall I bring a bottle of wine to the party? You look tired. Shall we go to sleep now? Parking will be difficult. Shall we take a taxi tonight? What shall I tell our client? What shall I wear to my interview? Who shall we invite to the meeting? There are lots of empty seats. Where shall we sit? We can also talk about the future without using a future verb tense. For example, as noted above (for planned events), we can use the present continuous to talk about something that we have a plan or intention to do in the future. Also, the simple present is used for scheduled (timetabled) events in the future. 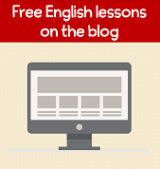 If you need to review how to form the future simple tense please check this page. I go over the positive and negative forms, questions and give more examples.